Wynn Resorts says it has hired a different law firm to help it investigate allegations of sexual misconduct against Steve Wynn, its founder and former CEO. 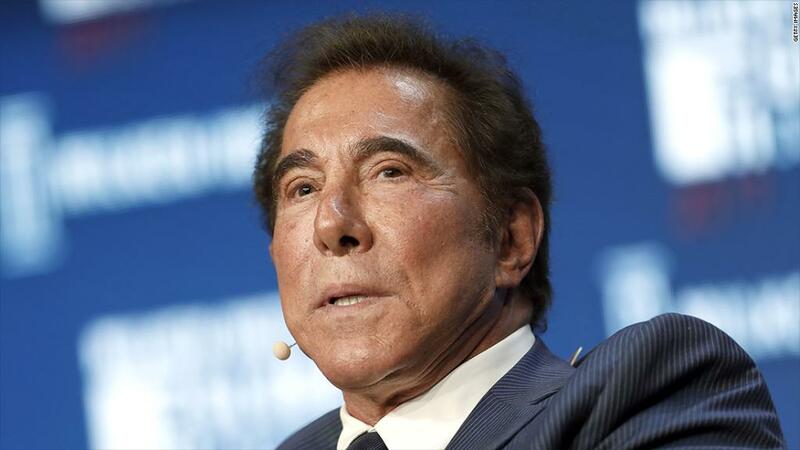 Wynn has denied the accusations, which were first reported by The Wall Street Journal, calling them "preposterous." But the casino mogul stepped down last week from his roles as CEO and chairman of the gambling resort empire he built, citing "an avalanche of negative publicity" that made it impossible to do his job. Shortly after the Journal report came out in late January, the board of Wynn Resorts said it had formed a special committee of independent directors to investigate the allegations. And on Feb 2., it announced it had hired leading law firm O'Melveny & Myers for the investigation, which it said would be led by two of the firm's partners who specialize in investigating employment issues and advising independent board committees on internal investigations. But Wynn Resorts said Friday that it "no longer required" O'Melveny's services because Wynn stepped down. The company, which is based in Las Vegas, is now bringing in another major law firm -- Gibson, Dunn & Crutcher -- as outside counsel to help the committee look into the claims. The casino firm said in a statement late Monday that the special committee's investigation is also being broadened to include "an expanded and comprehensive review of Wynn Resorts' internal policies and procedures." The aim is to make sure the company "employs best practices to maintain a safe and respectful workplace for all employees," it said. Gibson, Dunn & Crutcher couldn't immediately be reached for comment late Monday. Headquartered in Los Angeles, the firm employs more than 1,200 lawyers in cities around the world, according to its website. The firm has ties with Wynn's board. Kim Sinatra, a board member and Wynn's General Counsel, used to be a partner at the firm. Wynn Resorts' special committee is chaired by Patricia Mulroy, a member of the board's corporate governance and compliance committees. Mulroy previously held various high-profile public sector jobs in Nevada, including on the state's gaming commission, which regulates the casino industry. Wynn Resorts also said Monday that it will add more directors "to strengthen the composition, skills and experience of the board." The board has come under scrutiny during the uproar over the allegations against Wynn. Last week, it was hit by a shareholder lawsuit claiming that the directors "knowingly turned a blind eye to allegations of patently egregious misconduct" by Wynn. The company has declined to comment on the lawsuit.